On October 14, 2012, Austria’s Felix Baumgartner broke the jump record at almost 40 kilometers high, including 37 kilometers of freefall. He is the first human to have passed the sound barrier after a jump without propulsion. 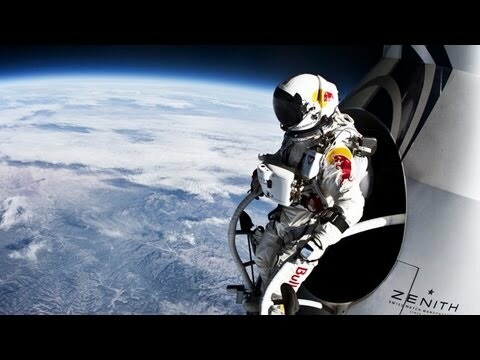 This feat was realized as part of the Red Bull Stratos project. The Red Bull Stratos project began in early 2010, when Felix Baumgartner teamed up with scientists and Red Bull to break a world record, the record for the highest jump, from a stratospheric balloon. 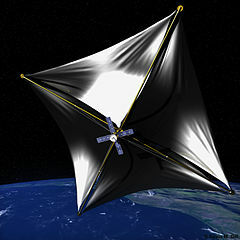 The project almost came to a halt in October 2010 when Red Bull announced that it was stopping the project after a plagiarism complaint about the jump from the stratosphere. This complaint was resolved amicably. Two test jumps were made. The first jump took place in March 2012 at almost 22 kilometers high, and the second jump in July 2012 at almost 30 kilometers high. During this second jump, he exceeds the speed of 800 km / h.
On October 14, 2012, Felix Baumgartner climbs into the air aboard a stratospheric balloon. He is followed on the ground by a control center based in the American city of Roswell, New Mexico. He throws himself into the void more than 39 kilometers high, after 2.5 hours of asension. The 4 minutes of freefall allowed him to pass the sound barrier without propulsion, with a maximum speed of 1342 km / h. This is a first in the history of humanity. At 2,5 kilometers altitude, Felix Baumgartner opens his parachute and lands quietly after a total of 9 minutes of fall.